I've dipped my toes into mineral makeup but I am always on the hunt for more. 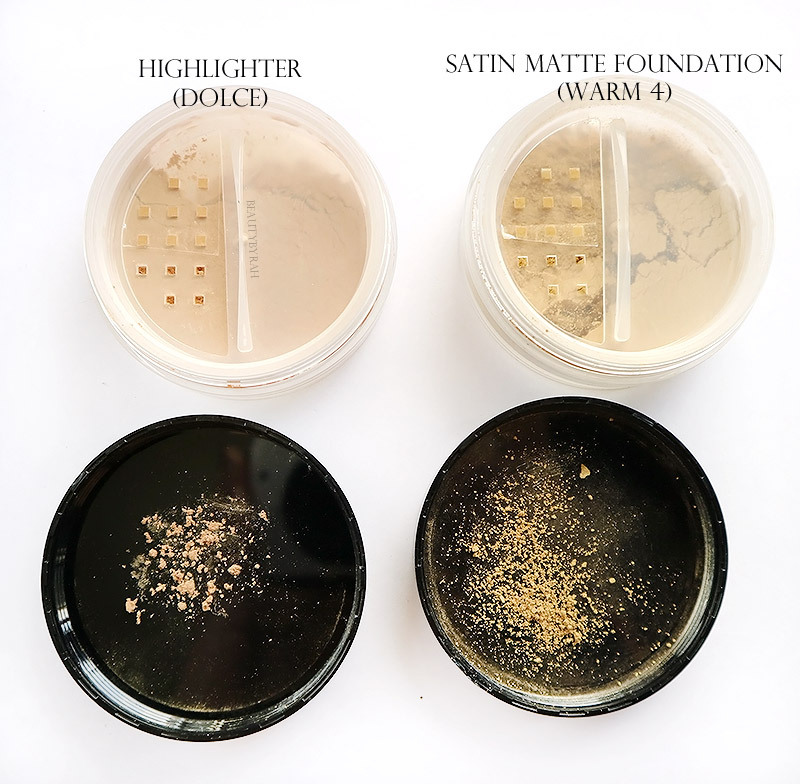 Mineral makeup differs from traditional products as it leaves out the preservatives such as parabens and generally has fewer ingredients that are potential irritants. As someone who wears makeup almost daily and has sensitive, acne-prone skin, the concept of mineral makeup always intrigued me. This led to me to Alima Pure. I have seen this brand here and there, and am glad to be able to try some of their products out. 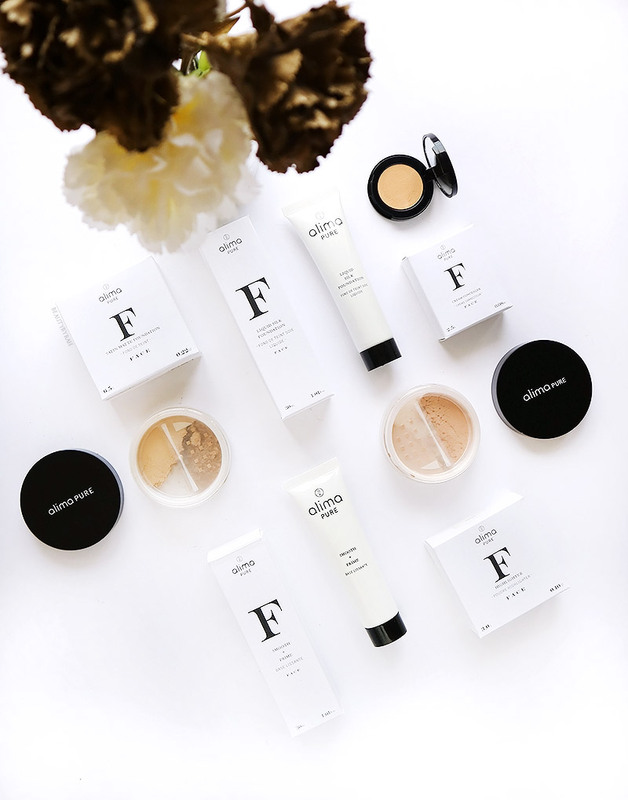 According to their main website, this brand aims to use minimal and the purest natural ingredients to create luxurious and high performance cosmetics. I also really do love how they have a page to explain the ingredients that they incorporate into their products! I received their Smooth + Prime, Satin Matte Foundation, Liquid Silk Foundation, Cream Concealer and their Highlight. Here are some of my first impressions! Overall, I am pretty impressed with the items I have tried and am really considering trying out more. 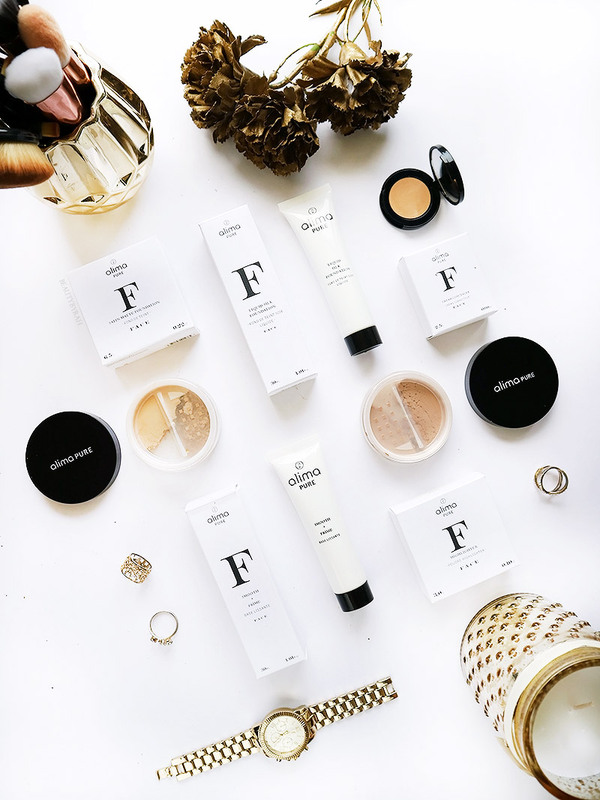 According to the site, this face primer is supposed to smooth and mattify the face to create the perfect base for foundation. It calms inflammation, minimizes pores, and evens the texture of your skin before you apply makeup. Ideal for those with oily and/or combination skin. Ingredients : Salvia Sclarea Flower/Leaf/Stem (Clary Sage) Water, Silica, Glycerin, Polyglyceryl-10 Stearate, Octyldodecanol, Squalane (Olive derived), Polyglyceryl-10 Myristate, Glyceryl Stearate, Aqua, Glyceryl Caprylate, Persea Gratissima (Avocado) Oil, Sucrose Stearate, Cetearyl Alcohol, Sodium Anisate, Tocopherol, Sodium Levulinate, Sodium Stearoyl Lactylate. P.s. I love how it has Squalane! 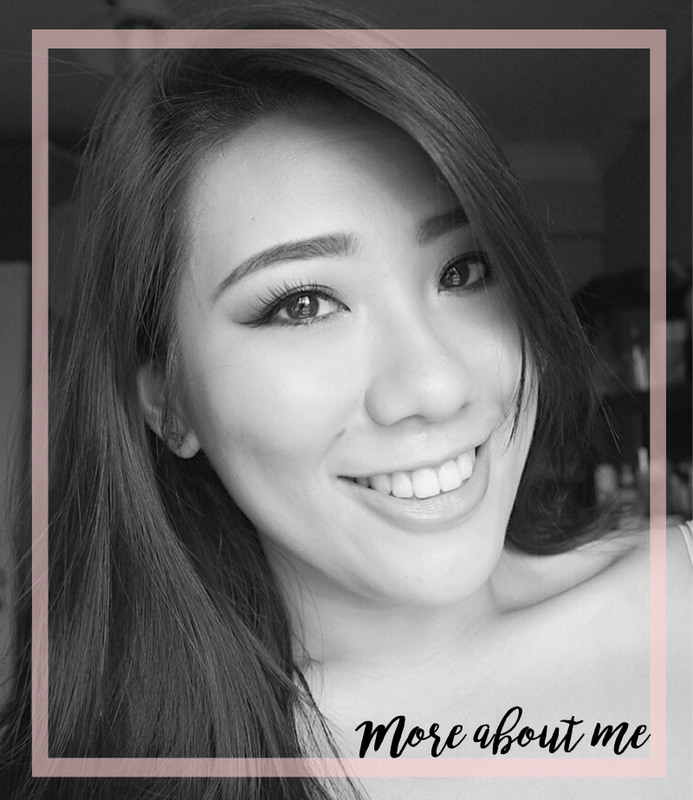 As I do struggle with large pores and uneven skin texture especially around my nose and cheek area, I do like to apply a smoothing primer over those areas before foundation. I had pretty high hopes for this primer as it is one of their star products. This primer comes in a squeeze tube, which is my favourite kind of packaging as it is hassle free, easy to control and convenient. The product is a white gel-like cream that has no scent to it. It blends nicely on the skin and I definitely see and feel immediately that it helps to mattify the areas which I have applied the primer. In terms of evening out skin texture, I'd say it does a decent job! The skin feels smooth and I do find that the foundation applied does not sink into the pores as obviously as before. I've only used this about 4 times now and need to use this more but I am really really liking it so far. This is claimed to be a comfortable and traceless full-coverage concealer that gives you coverage right where you want it. It’s made with hydrating, vitamin-rich ingredients, and uses the warmth of your skin to blend seamlessly. It can minimize dark circles, balance redness, hide blemishes, and erase hyperpigmentation. It blends easily for full coverage that neutralizes, brightens, and disappears without a trace and this comes in 10 shades. The packaging reminds me tremendously of the Bobbi Brown Creamy Concealers - a black circular flip open compact with a mini mirror inside. Perfect for on the go touch ups, if you ask me. This concealer did feel smooth and creamy when I swirled my finger in it. 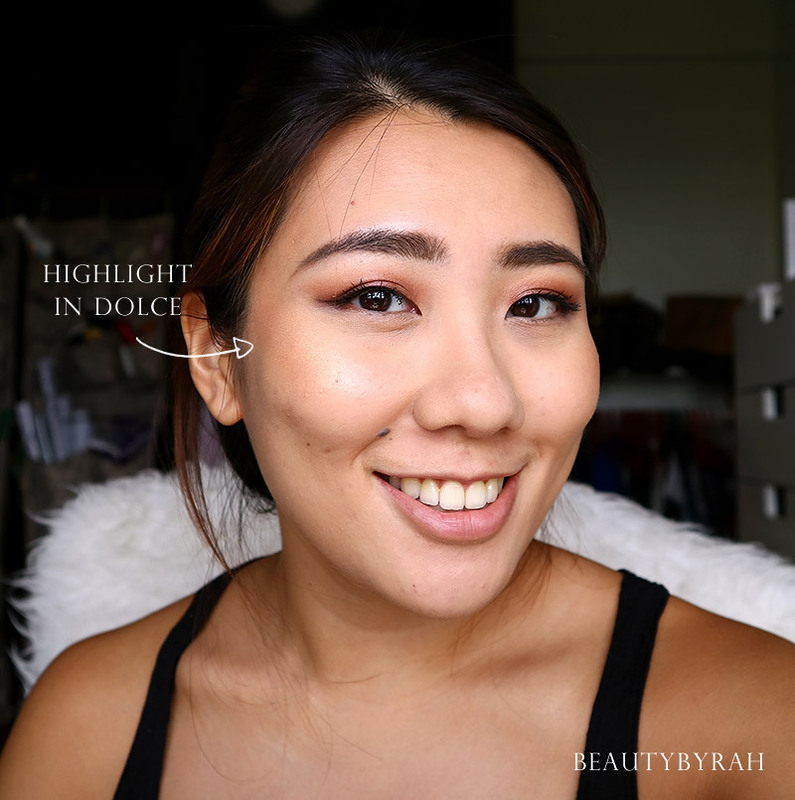 I got mine in the shade Echo and it did match me pretty well while providing me with a nice highlight when used on my undereye area. I found this concealer to blend easily and I do like to work with it using my finger rather than a brush. Coverage is a medium with one layer and can be built to a satisfactory full with two. 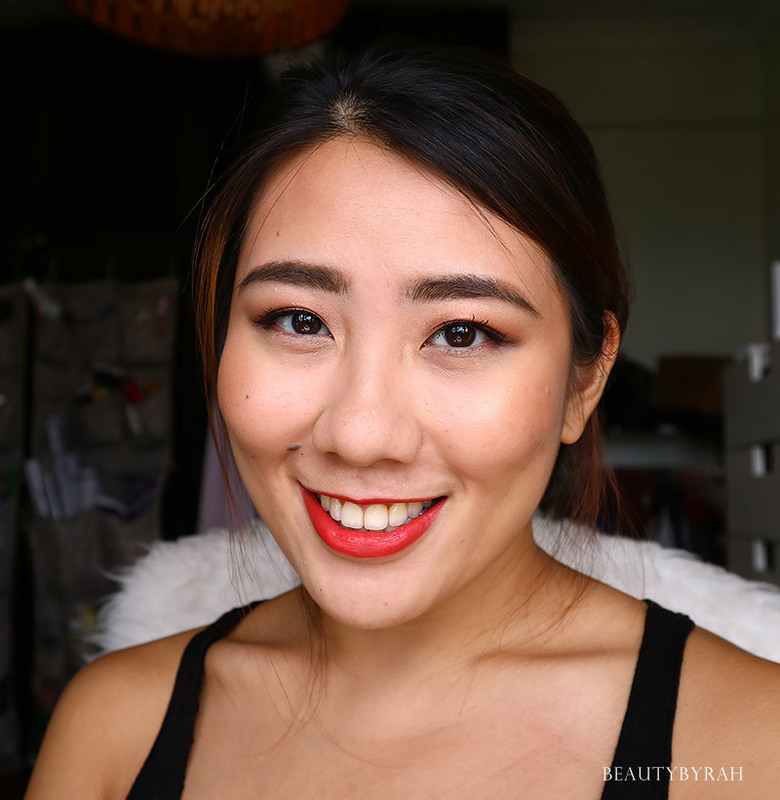 I purposely did not use any colour correctors with this, and two layers did a nice job of concealing the darkness under the eyes. I need to play with this more to see if it is hydrating. So far, I did not notice that it emphasised my creases under the eyes nor did it look dry. I really like that Squalane is the first ingredient in the list too, as this is known for its hydrating properties. 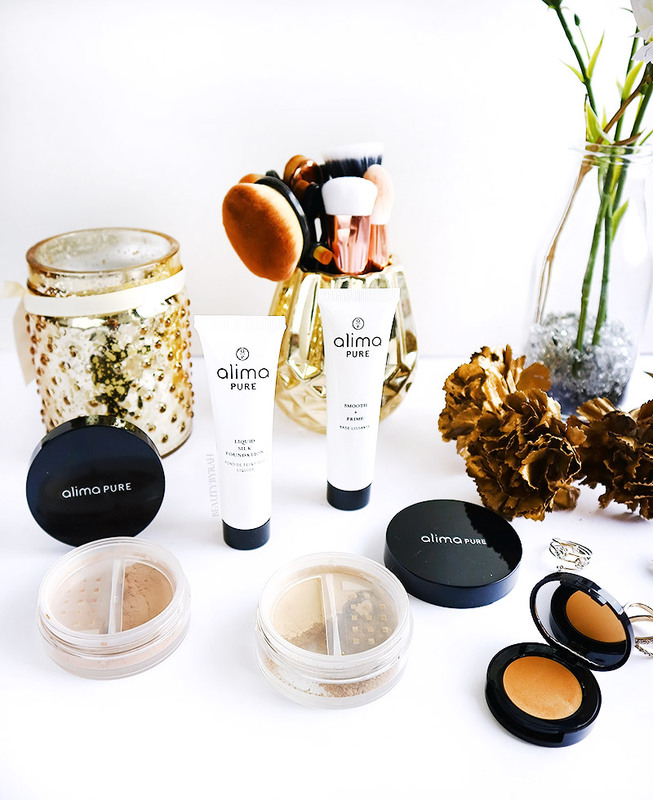 This is said to be a sheer, buildable and moisturising liquid foundation that is meant to blend seamlessly with just the right amount of slip, leaving the skin feeling soft, plump and hydrated. They recommend setting it with the Satin Matte Foundation for full matte coverage. *Made from a proprietary blend of all-natural essential oils. I got mine in the shade Echo and I do think that it matches my olive toned NC30 skin pretty well. One layer of the foundation gives light coverage and can be built to medium with two. I like that it looks extremely natural on the skin - it sets with a slight glow, leaving the skin looking fresh. 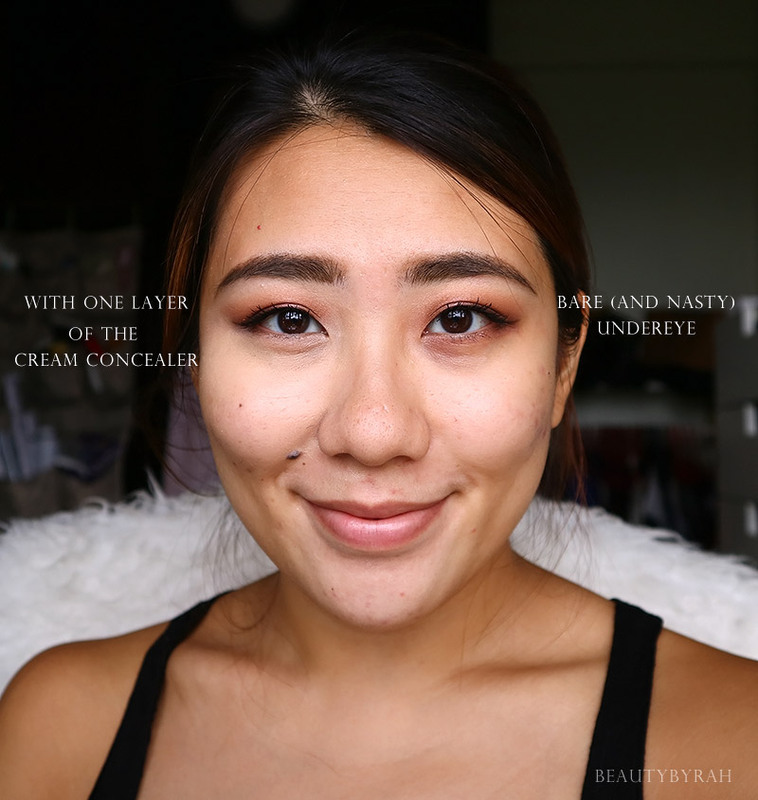 Again, my dark spots still do peek through if I do not conceal it before hand, but I really am enjoying this foundation as it does not feel heavy on the skin and it blends really easily. 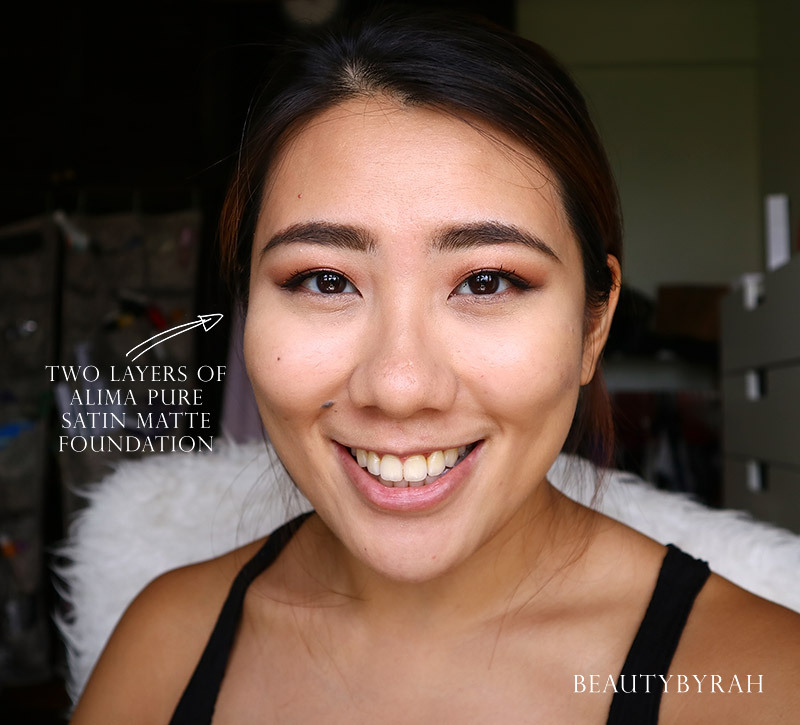 From the 2 times I've tried it so far, this foundation held up pretty nicely against the hot weather and humidity, lasting about 6 hours before going a little patchy on my nose and cheek area. This is a loose powder foundation that is said to be designed to provide weightless buildable coverage, enhance your complexion, and reduce the appearance of fine lines and pores. The result is a smooth matte finish with a subtle glow. And something that impressed me tremendously, there are 45 shades to choose from! Ingredients: Mica (CI 77019), Titanium Dioxide (CI 77891), Zinc Oxide (CI 77947), Iron Oxides (CI 77491, CI 77492, CI 77499). This foundation is vegan, nut-free and gluten free. Coming in a typical tub with holes to dispense the product, I do like how sturdy the packaging feels. To me, it feels much more luxurious and sturdy as compared to my Bare Minerals Original Foundation. Like how I use other loose powder foundations, I dispense a little product into the cap, dip my dense domed brush into it and swirl it around before working in circular motions onto the face. Off the bat, I would say that this foundation is light coverage with one layer and can be built to light-medium with another. My pigmentation and dark spots still do peek through if I do not conceal before. I find it pretty easy to blend and work into the skin, but I do realise that it can cling onto my dry patches. In terms of wear, this foundation lasted for about a good 4-5 hours on me before it started to wear off around my nose and cheek area. It fades nicely, without getting overly splotchy on the skin. One aspect that I did notice, was the fact that I was less oily throughout the day. Even after 7 hours, I did not look like a greased up frying pan (which I can look like with some other foundations), so this is definitely a plus point from me. I got mine in the shade Warm 4 but I do think that it is slightly too dark for me, and I should go with Warm 3 instead. 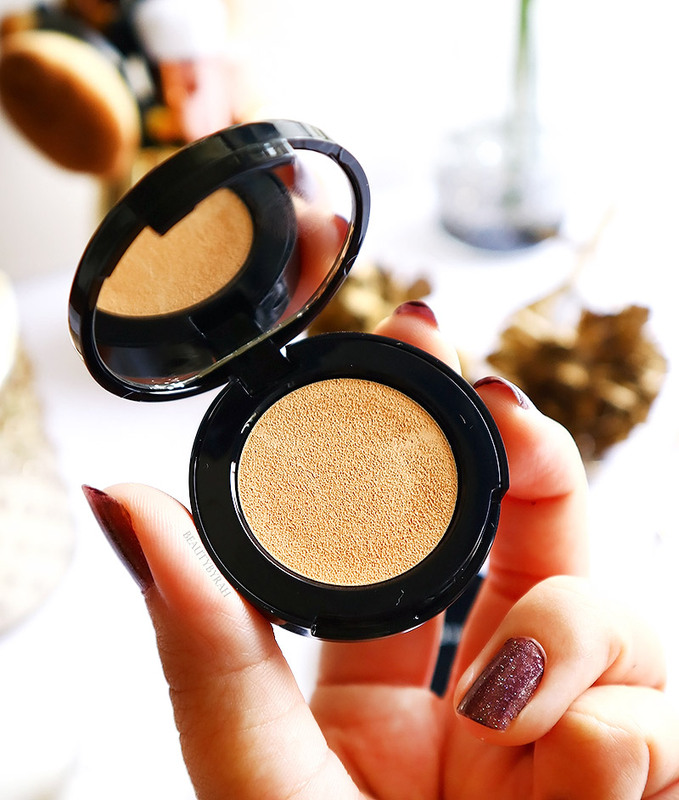 This is an illuminating loose mineral powder that is said to brighten and accentuate the complexion by imparting a healthy natural glow to the skin. Ingredients: Mica (CI 77019). May contain: Titanium Dioxide (CI 77891), Iron Oxides (CI 77491, CI 77492, CI 77499). This highlighter is vegan, nut-free and gluten free. This comes in the same packaging as the satin matte foundation. A circular tub with a sieve on the top. Off the bat, I can say that I love this. It is absolutely lovely on the high points of the face. It does not contain any large chunky glitters and it imparts a glorious sheen to the skin. I find that with a light hand, it can look extremely subtle and natural, great for many who aren't into the blinding highlighter look. On the other hand, it can be built up for a wonderful, intense, blinding glow that I can't get enough of. A little goes a really long way and I can foresee this tub lasting me a long time! I got mine in the shade Dolce, which is a coppery champagne. It looks great on tanned and darker skin tones. I can pull it off currently as I've been swimming pretty often, but I think I would need to go with the shade Lumina when my tan wears off. These can be purchased off Naturelova, Sephora , Eat Organic and Naiise The Cathay if you are interested. If I had to pick my favourite out of the bunch, I think I would go with the Smooth + Prime! Rarely do I ever see a primer work so quickly and I really do like how my skin looks after its application. It is slightly on the pricier side, and I do have to test it out more, but for now, I do think it is worth the price point. 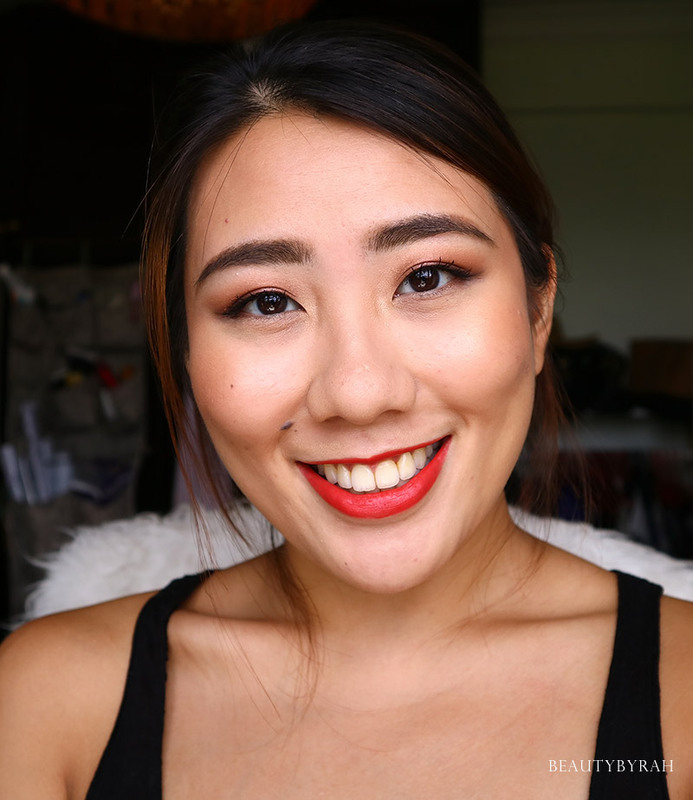 Here is the look using all the products mentioned (sans the lipstick which is Temper by Urban Decay)! Will you be picking up any mineral makeup soon? Do share! **These products were sent for a review. Only honest thoughts are shared here, with no influence from others. I am not compensated nor affliated to the brand.